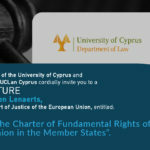 The School of Law of UCLan Cyprus is proud to announce the LLM Financial and Commercial law. Within finance and commerce, law is a fast-changing and increasingly complex area. The LLM Financial and Commercial Law will enable students to specialise in a range of exciting subjects within the area of Financial and Commercial Law, of use for their future professional career in law, business or in financial fields, both nationally and internationally. This postgraduate course provides students with analytical and reflective skills and expertise in Financial and Commercial Law. 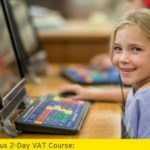 It provides a learning experience which will enable students to strengthen their academic ability and enhance their performance in employment, as well as further develop their career opportunities. It provides the successful candidate with a recognised postgraduate qualification in Financial and Commercial Law. UCLan Cyprus graduates can gain or develop careers in multinational and domestic law firms, global and local corporations, banking institutions, the foreign exchange market, the shipping industry, government bodies and a variety of other organisations.